Supported by TV adventurer Monty Halls and the National Trust, a new challenge this October aims to set a record for the number of times the South West Coast Path has been covered in a single month – in doing so raising funds to protect the coastline for future generations. 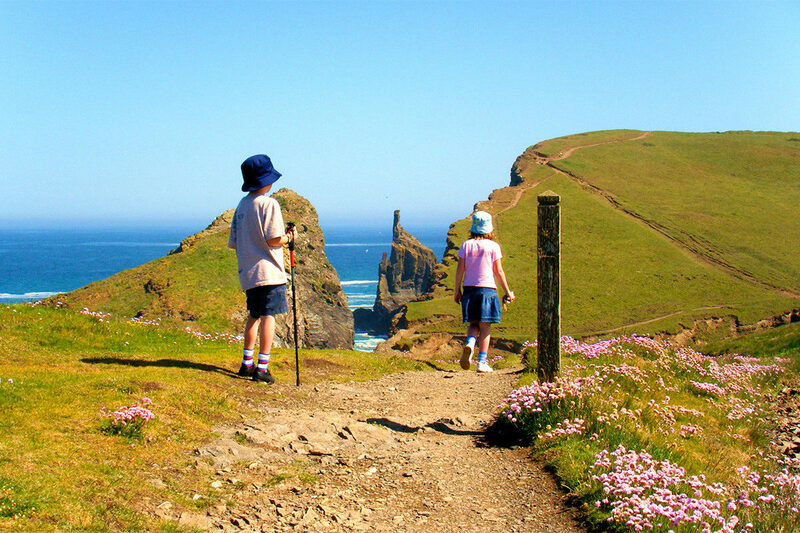 We at Luxury Family Hotels treasure the South West Coast Path perhaps more than most – over the course of 630 miles of gorgeous coastline, it runs past the very doorstep of our hotel Moonfleet Manor in Dorset, and is within just a few minutes of Fowey Hall in Cornwall. Fascinatingly, the Path was originally a means for the coastguard to track and pursue smugglers. Taking in two World Heritage Sites, Five Areas of Outstanding Natural Beauty and one National Park, it’s one of the most diverse coastal walks in the world, with no two days’ walking ever the same. It costs the National Trust £3000 a year to care for each mile of coastline. You can register to take part on the website, and sharing your challenge on social networks using #Challenge630 puts you in with the chance of winning a GoPro camera. It’s hoped that all participants will raise at least £10 through sponsorship. See our tips for walking with kids, and our blog on a family walk including the South West Coast Path at Lizard Point, Cornwall.